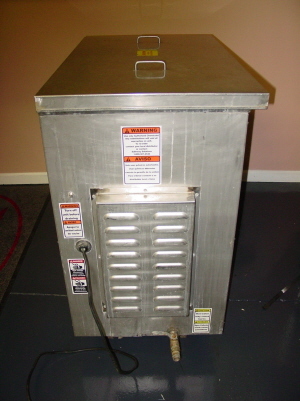 Unisource Dip Tank Pan Cleaning Tank is designed for cleaning all Bakery and Restaurant Pans and Stainless steel aluminum products. Just add soap in Tank and black carbon is removed in Hours. 110 volt 15 amps Great Condition !!! A must for every Bakery and Restaurant!! !